The widest selection of road, mountain, single speed, hybrid, and city bikes in Charleston. I've just left Affordabike and have to say - Daniel is awesome!! He spent all the time I needed to ask questions, look at options, learn about their soon to be delivered Guru Sports advance fit system and how/why a new bike could benefit me. I'm not a super triathlete but I'm telling you, I left feeling valued and respected. I also left feeling like I was being listened to and heard. Not a moment of "oh man get me out of here this guy is just trying to take my money". I highly recommend to anyone looking for a bike that you start here first. I can't wait for the Guru system to be up and running . . . And then getting a new bike! AFFORDABIKE... why go anywhere else! The Matty's (That's what I call them) did such an AWESOME job on my custom build. I can't begin to thank you guys for this. You guys built me a real head turner of a bike! The 1st day on the road w/it & some guy offered $2000 for my bike. That told me I took my bike to the right place! The guys at affordabike are amazing. I left my credit card and license at the store by accident and they brought it to me, customer service at its finest. Honestly these guys are the best! My friends say I have a biking problem. The only problem I have is saying no to all of the sweet bike deals I find at Affordabike. My most recent purchase was a CAADX on year end closeout that Hunter pointed me towards - a way better bike than I thought I could get at that price point! At peak times on the weekends they can be busy but the guys there genuinely love bikes and want to help. Oh and they have shop dogs, so you know it's a legit bike shop. I'm fairly new into biking. Before, I used to think Walmart was where you go to buy a bike. I was referred to Affordabike by my co-worker. 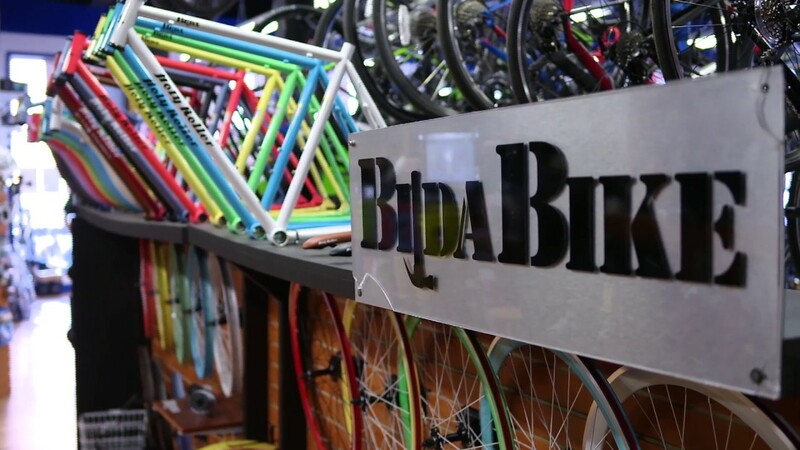 We went to Affordabike to look at bikes, and the staff was very helpful in fitting me to a bike. Hunter had me try out a few different sizes and a few different models. I ended up buying a new Cannondale Trail 5, and I love the bike. The team at Affordabike has not only done a great job assembling the bike (it hasn't fallen apart, unlike the many bikes I've purchased from Walmart over the years), but they perform maintenance on the bike for me. I've had a really good experience with Affordabike!